Returning from holiday full of energy, a real disaster could be waiting for you at home. The risk of burglary and theft increases enormously during the summer holiday season. Don’t give thieves a chance! As well as locks and smart sensors, you can also protect your home in summer using door intercom technology. Police statistics show that most burglaries always occur during the holiday season. Thieves rarely pick a property blindly. They generally choose a building and find out as much as possible about the owners beforehand, using information that includes posts on social networks. It’s therefore very important to be aware of what information you and the members of your household share publicly. Your children might also post that they are about to go on holiday on their social networks. Anyone can easily read these and, if you add a few selfies from home (such as a family party), thieves gain more information with just a few clicks than if they were to watch your house for a week. There are two things you certainly never leave the house without when you go on holiday – your keys and mobile phone. However, in some cases, a smartphone can replace a large bunch of keys these days, just like it’s already replaced the credit card. 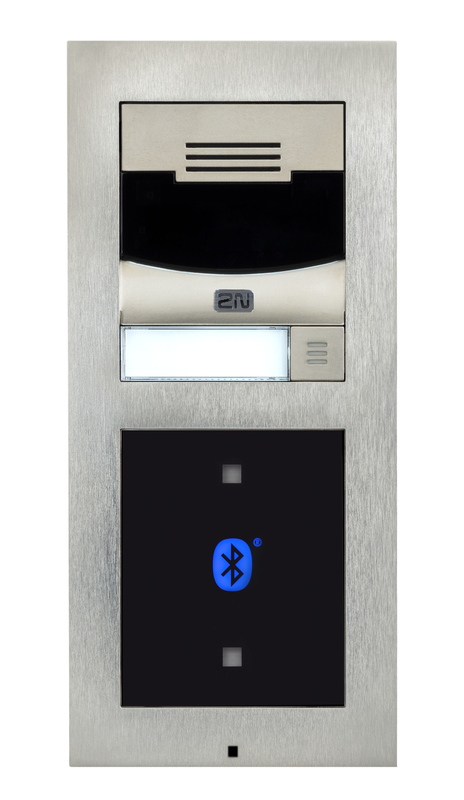 Modern access units linked to the door lock, such as the 2N® Access Unit Bluetooth, allowing you to open the door electronically using a Bluetooth application on your mobile, which sends you a secure encrypted key to open the door. 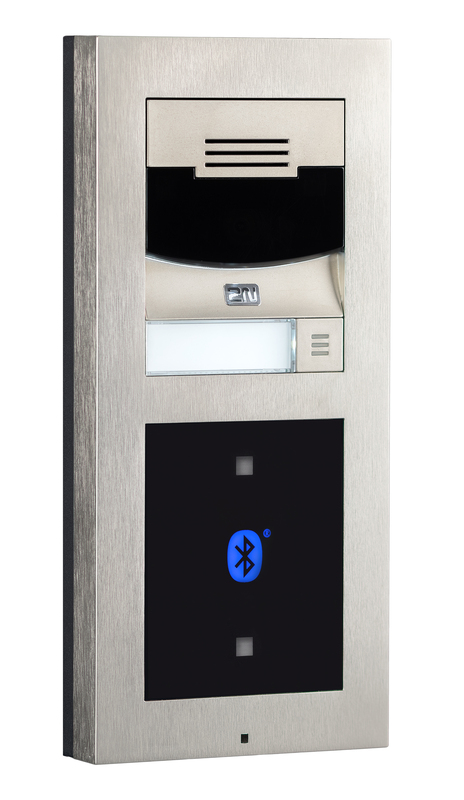 Entry to your flat, garden or apartment building can also be secured using an RFID card reader or even a fingerprint reader. However, a “smart door” can do so much more. 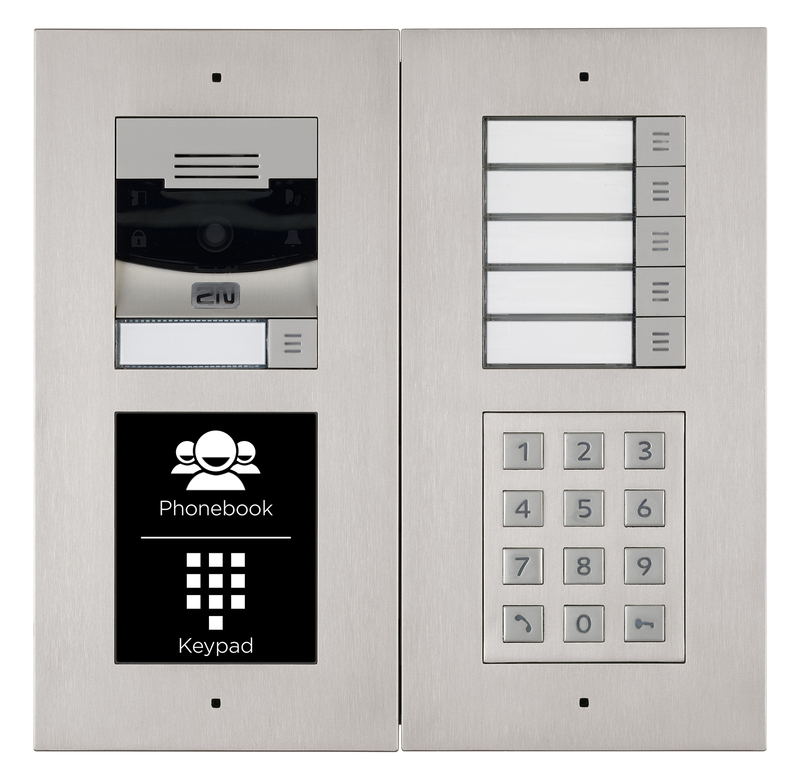 A smart door communicator or intercom is nothing like an ordinary doorbell. 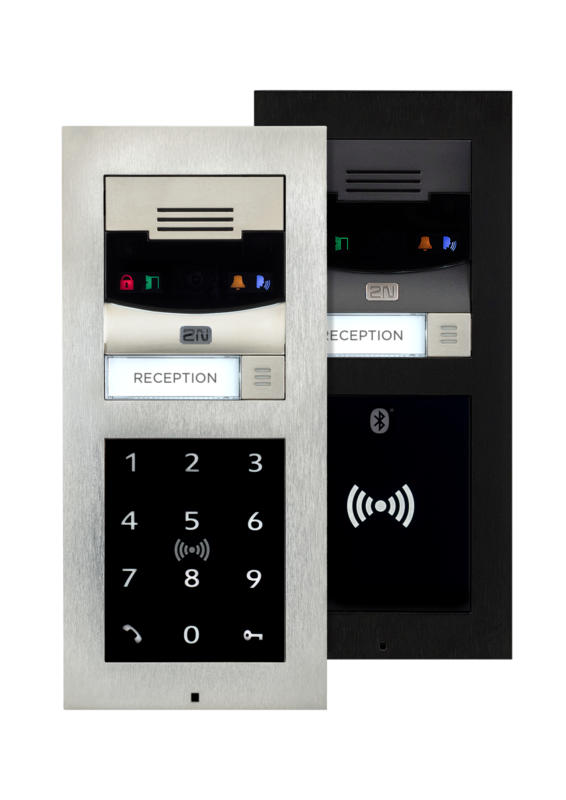 Modern IP video intercoms, such as the 2N® IP Solo, 2N® IP Base and 2N® LTE Verso from the Czech manufacturer 2N, can replace the security camera by your door. As well as providing a live feed to your mobile phone, the intercom can automatically detect movement in front of your house or flat, even in complete darkness thanks to its night vision, and respond to that movement by emitting a warning sound, or by playing a pre-set audio recording such as “Hello, how can I help you?” The camera can continuously record footage and archive key moments, including sounds in the vicinity, meaning thieves are recorded before they can act and before donning their masks. The intercom can also send an alert for each potential intrusion to the owner’s mobile phone, with a photo or a short video. If the view from the doorbell is not enough, you can connect the intercom to another external security camera that monitors a wider area. Using a mobile application (such as 2N® Mobile Video), you can communicate with the visitor directly via your smartphone, even if you are on the other side of the world. If you are unable to take a call from the door intercom, after 15 seconds or however long you set, it can redirect the call to another family member – your wife, parents, or children. The person standing at your door has no idea no one is home. They speak into the intercom and someone answers them, giving the impression that someone is inside. This precaution is a good way of warning off anyone who comes to “case the joint”. Various parts of the house can be remotely controlled in the smart home. 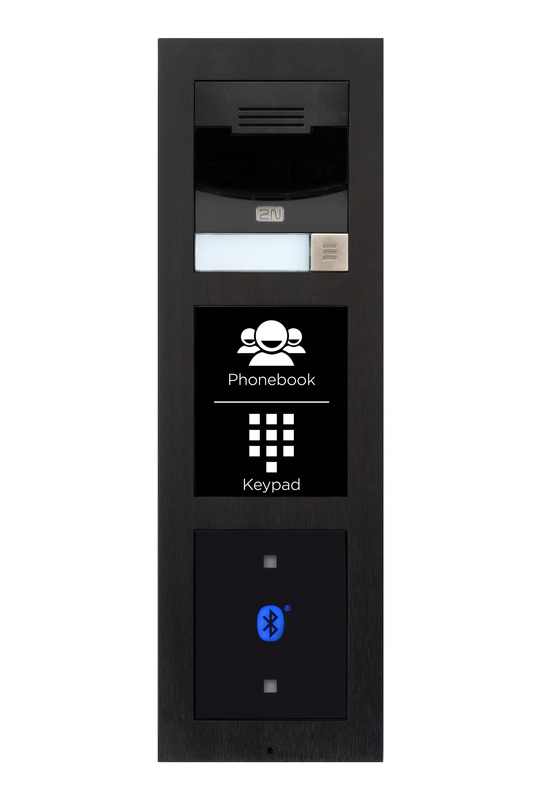 The door intercom unit can become one of these centres of home intelligence. 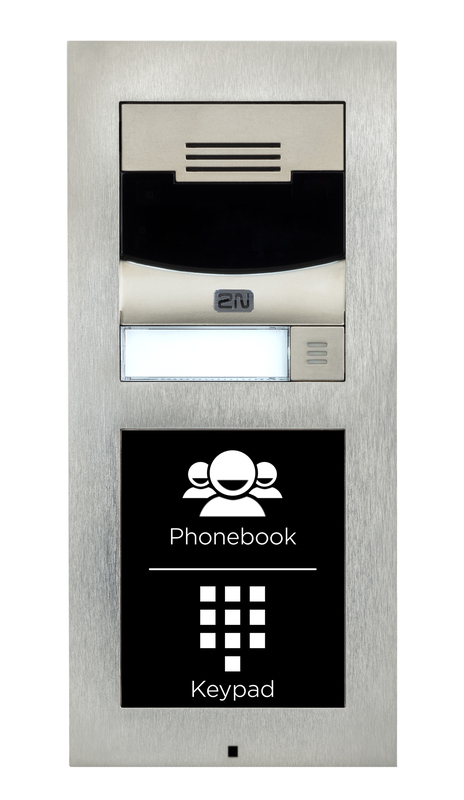 The 2N® Indoor Touch, for example, is a device that replaces the home telephone receiver in the hall. It also works as a tablet connected to the network, enabling you to link multiple devices to a single mobile application and so easily turn on the lights anywhere in the house, control the blinds and power sockets, play music on the home stereo system, turn on sprinklers in the garden, etc. The mobile application can be easily used to create a scenario where your house simulates certain activity according to a pre-set schedule, and so it doesn’t seem “deserted” to any observers. The internal 2N® Indoor Touch unit can be linked to a number of home authorisation products, which can ultimately help you cut costs, as you can economically control the air conditioning and heating, or automatically control lights and blinds – using daylight intelligently and turn off the lights when no one is in a room. Of course, you can still control everything manually, but don’t rely on that too much. You’ll be having so much fun on holiday that you’re bound to forget to “run the simulation” and your dark, deserted house is an open invitation to thieves. If, despite all your precautions, someone does break in, the sensors connected to the central panel can sound the alarm and send an alert to your mobile phone or to the person you have designated. It can also send an alarm to a security agency or the police. Using the camera system and your mobile, you can take a look at your home remotely and quickly see whether it is a false alarm or a real threat, and thus act accordingly. In the event of a real threat speed is always of the greatest importance, for if the thieves are caught at the scene of the crime, your losses will be minimal. However, if they manage to get away with their haul, your losses could be huge. Thieves are not stupid. They prioritise valuable items that can be cashed in easily and quickly. They are well aware where most people keep these things at home. According to police statistics, the number of home burglaries registered in the Czech Republic has been around 5 to 6 thousand a year long-term despite the ever-increasing security of our homes. In an effort to save a bit of money, many people try various small home systems and install them themselves, although these systems have limited functionality and are not always reliable. Securing our home is something we should definitely not underestimate, as saving money unwisely could cost us dearly. It is best to rely on professionals with extensive experience in this field, who know all the potential risks and problems. It is also very important to have your security system linked to the police or a security service that can respond to an alarm within a matter of minutes. There’s nothing worse than being on holiday and watching someone burgle your flat on your phone and being unable to do anything about it.